Courtesy of cattery Av Hoskogen, Kristin Eugenes in Norway. 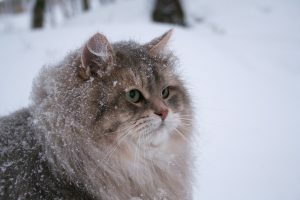 Here is a list of catteries around the world where you can find at least a couple of Siberians that belongs to group 1,2 or 3. This list will be made by country. Please note that even if there are good couples on these catteries, the genealogy must be checked anyway considering some among these unfortunately do have cats groupe 4.